There’s handling discipline badly and then deciding against taking any responsibility for your mistake. The latter is the path that has been chosen by sophomore guard Eleanna Christinaki, who quit the No. 23 Florida Gators women’s basketball team on Sunday after being handed a half-game suspension by head coach Amanda Butler. 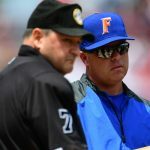 Christinaki, who was suspended for an unspecified “violation of team culture” by Butler, decided to leave the Gators rather than sit out 20 minutes of action. She was Florida’s leading scorer at 17.6 points per game. UF immediately removed Christinaki, an international player out of Greece, from its roster and wrote on its website that she had previously “expressed home sickness” after spending the last two years in Gainesville, Florida. Freshman G Delicia Washington was also suspended for one half by Butler but she, you know, chose not to quit on her team over the coach’s decision. 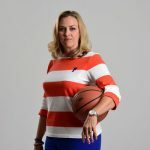 The Gators are in the midst of a rebuild under Butler, who has seen a number of players transfer and recently refreshed her coaching staff with new assistants. Florida went 13-17 in 2014-16 but posted a 22-9 record and NCAA Touranment berth last season, its best performance since the 2008-09 campaign. UF entered the season ranked for the first time in 15 years and currently sits at 7-3 while playing all its games away from home like the men’s program. Florida recently lost back-to-back true road games to No. 24 Arizona State and No. 7 Florida State and has two more neutral site contests before its home opener on Dec. 28 against Southeastern Louisiana. Coach Butler can’t catch a break! Hang in there Coach, thanks for holding players accountable.